It wasn’t until my eldest daughter provided her amazing writing insight that I finally came to realize why I struggled with the ending, for both the book and my father’s passing: the true resolution didn’t rest in holding onto the past; it came from opening my mind to future possibilities and honoring him – not only by setting this story free, but by becoming the professional storyteller that had been hiding in my genes. 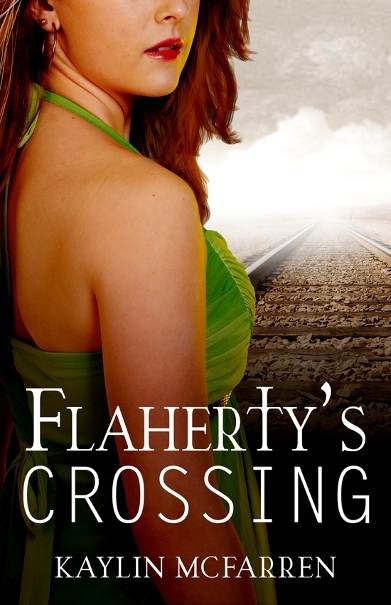 Flaherty’s Crossing was completed – a labor of love, but it ran into unforeseen problems. Due to the fact that this story crossed a few genres, it became a difficult book to place with a large publishing house. 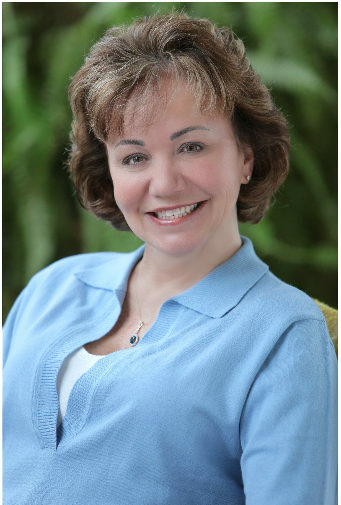 At first I took the rejections as reflections on my writing skills, then I realized although they didn’t offer a contract, I was receiving a great deal of praise from publishers via personal notes and emails. Rather than hold back to see what might happen way down the road or completely reinvent the novel based on suggestions I didn’t feel were true to the core of my story, my eldest daughter, who is also an author, encouraged me to take hold of the reins. I pursued smaller houses, where they are more open to books that are out-of-the-box. Fortunately, Flaherty’s Crossing and I have found a wonderful home at Champagne Books and it will be officially released on February 1st. I never expected this exercise in writing to go to press, touch lives, or win literary awards. But as a result of my good fortune, I’ve arranged for all the proceeds from the sale of Flaherty’s Crossing to go directly to the cancer research center at Providence Medical Center in my father’s name. I’m now convinced and proudly share the belief that good things can grow out of the worst times in our lives if you just take the time to open your heart. UPDATE: Kaylin has added an e-Book reader to her amazing Virtual Book Tour contest! 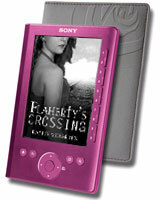 Here’s the rules: anyone who posts comments on ALL of her book tour locations has an opportunity to win a Sony Pocket Reader valued at $180 – along with copies of Flaherty’s Crossing and other great prizes. Simply visit the Events page on her website at http://www.kaylinmcfarren.com where you’ll find a complete listing. Winners will be announced on March 28th. Good luck everyone! Great post hon! Congrats on the new release! A very spiritual journey for you. For us, good entertainment. Thanks. Thank you, Julie. And I hope you find an opportunity to read this book. Congrats, Kaylin for sticking to your guns. And kudos to Champagne for picking up your book. Thanks for sharing the positive story. Hi Kaylin! Just popping in to say howdy! Thanks for visiting me, Frank. I love reading your interviews at the Examiner! And Dorothy, you’re a gem. I appreciate all your encouragement and great support! You are off to a roaring start on what promises to be a brilliant career. I look forward to reading all of your books. BTW, I decided to include an e-Book reader in my amazing Virtual Book Tour contest. Here’s the rules: anyone who posts comments on ALL of my book tour locations has an opportunity to win a Sony Pocket Reader valued at $180 – along with copies of Flaherty’s Crossing and other great prizes. Simply visit the Events page on my website at http://www.kaylinmcfarren.com where you’ll find a complete listing. Winners will be announced on March 28th. Good luck everyone! Great post! I’m glad you finally found a great publisher to publish your book!